Errol J. Stoner, the son of Harvey and Winifred Stoner, was born on October 16, 1911, in the small community of Olive, Orange County, California. In 1928, he enlisted with the Army and served at Fort Stotsenburg, approximately 50 miles north of Manila, in the Philippines. By 1930, he was back in California and working with his father at a citrus ranch. In 1933, he and another young pitcher, Homer H. Hurst, were invited by the Pirates' Larry French to attend spring training with the National League club at Paso Robles, California. Playing alongside future Hall of Famers Lloyd and Paul Waner, the 21-year-old right-hander impressed the Pirate management during February and March. On March 8, he teamed up with Hurst to pitch the Pirate regulars to a 2-1 win over the rookie squad, allowing just four hits between them. Both pitchers were released by the major league team before the regular season began and Stoner pitched two games for a 1-1 record with the Tulsa Oilers of the Class A Texas League, before being reunited with Homer Hurst at the Class C Middle-Atlantic League's Springfield Chicks. Stoner was 0-1 in two games and spent the rest of the year playing semi-pro baseball back in Orange County with the Fullerton Merchants [Hurst was 0-4 in 10 games with the Chicks]. On October 26, 1933, he married 18-year-old Ruth L. E. Naumann, and reportedly signed with the Pacific Coast League’s San Francisco Seals. By spring training of 1934, Stoner was with the Coast League’s Mission Reds, putting in another good early year performance. Reds’ manager Gabby Street didn’t have room on the regular season roster for Stoner, but he tried to help secure a minor league position for the youngster. However, it appears this didn’t come to fruition and he was back with the Fullerton Merchants later in the year. In 1935, for the third year in a row, Stoner attended spring training with a professional team. This time with the Coast League’s Hollywood Stars, but again he was released before the season got underway and was back with the Fullerton Merchants. In 1936, Stoner joined the Class D Alabama-Florida League's Union Springs Springers, reuniting him with former Springfield Chicks teammate, Harold Bohl, who was now player-manager with the Springers. Stoner must have been suffering from a sore arm at this time as he did not take to the mound for the entire season, but played 73 games, leading the team with 11 home runs and an excellent .319 average. 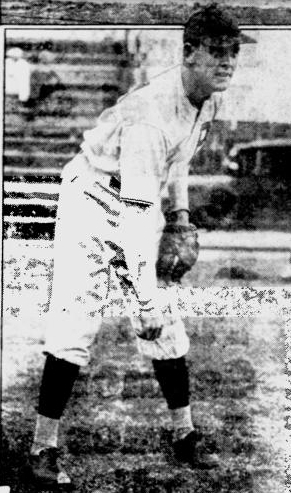 Stoner was back on the mound in 1937, pitching for the Class C East Texas League’s Kilgore Rangers, where he was 3-5 with a 4.98 ERA in 16 appearances to end his pro career. Stoner was working as a farmer and living in De Luz, San Diego County, California, when he entered military service for the second time in September 1940. Attached to Company C, 33rd Quartermaster Truck Regiment, Private Stoner returned to the Philippines. On December 8, 1941, the Japanese attacked the Philippines and Stoner suffered fatal shrapnel wounds to his back and hips on December 12, during the defense of Clark Field. He was buried at the Fort William McKinley Cemetery (now Fort Bonifacio) in Manila, two days later. However, the location of his remains were lost between that time, and when the cemetery's remains were disinterred following their liberation from the Japanese in 1945. Private Stoner's remains have never been recovered, and he is remembered at the Manila American Cemetery and Memorial at Fort Bonifacio. Thanks to Davis O. Barker for "discovering" Errol Stoner.